Do you have a sensitive skin like me ? 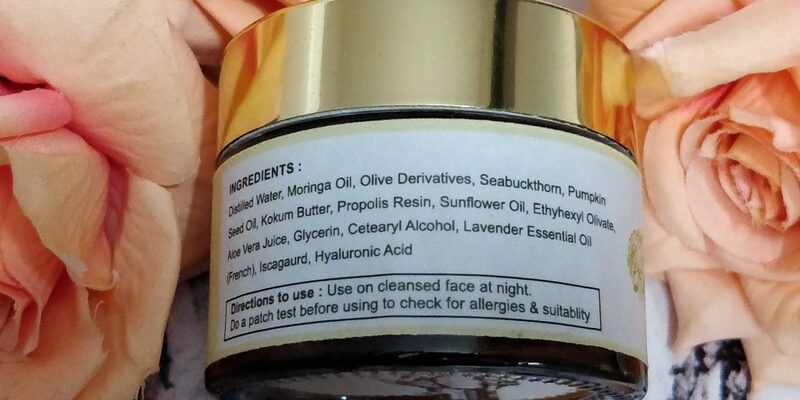 Are you someone who is obsessed about skincare and love reading a lot about skincare ingredients ? 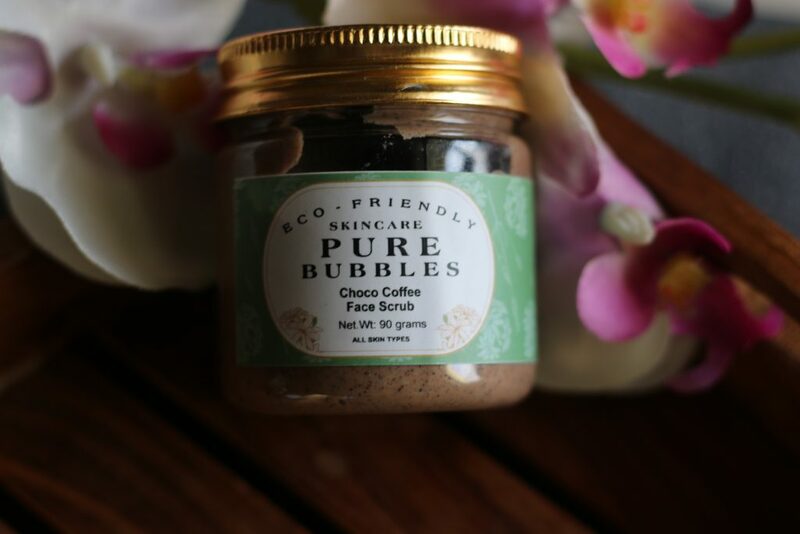 I discovered this brand ‘pure suds’ in 2015; if you are a regular reader of my blog, you might have read the review from ‘pure suds‘ already on blog. 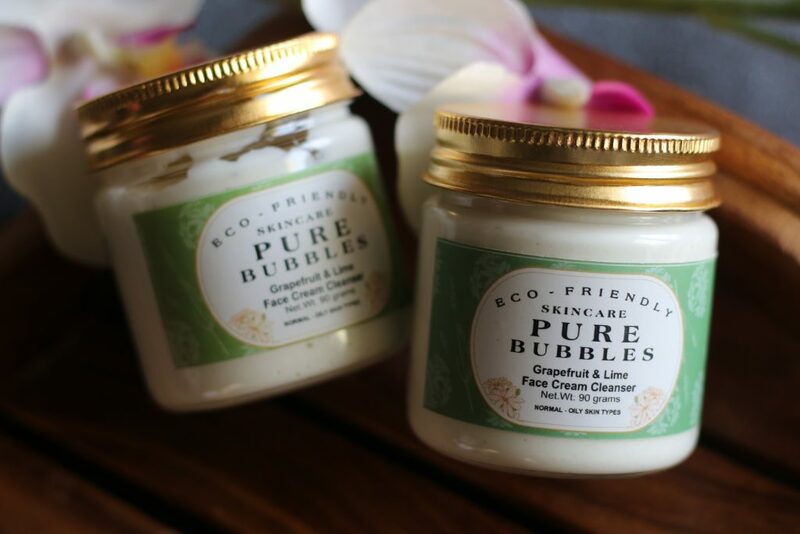 Now, ‘pure suds’ got rebranded to ‘Pure Bubbles Soapery’. All thanks to @bhavana_ranka , Founder of @pure_bubbles_soapery for sending me a set of skincare products that suits my skin type. None of these products contain any harsh chemicals like parabens, SLS, formaldehyde or phthalates which are considered to be one of the most toxic and most used ingredients in conventional cosmetic products. All of these #handmade bath and body treats are made in small batches using pure, eco friendly & bio degradable ingredients. Creation in small batches ensure the quality and freshness. I am featuring few of the products that were specially suggested for my Sensitive – Combination type skin. Now, coming onto my major skin concerns – Redness around my nose area, dull or uneven skin tone, under eye circles etc. Super drying on face after washing is one of the main problems with most commercially available face washes. 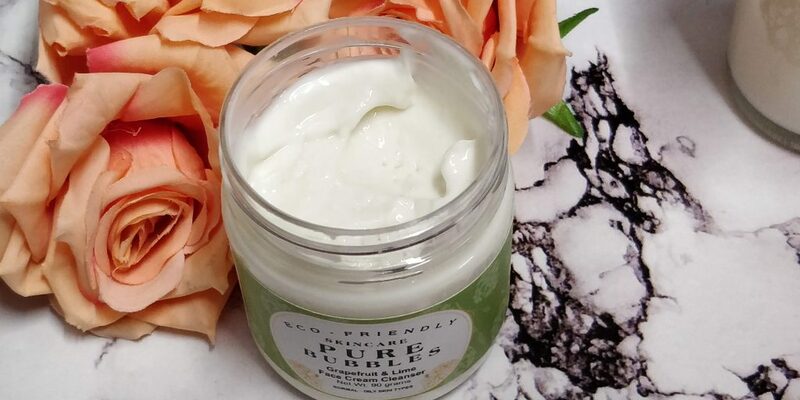 The harsh chemical list in the ingredients take away the youthfulness of your skin by stripping off natural oils produced in our skin that is necessary to balance and maintain elasticity of skin. 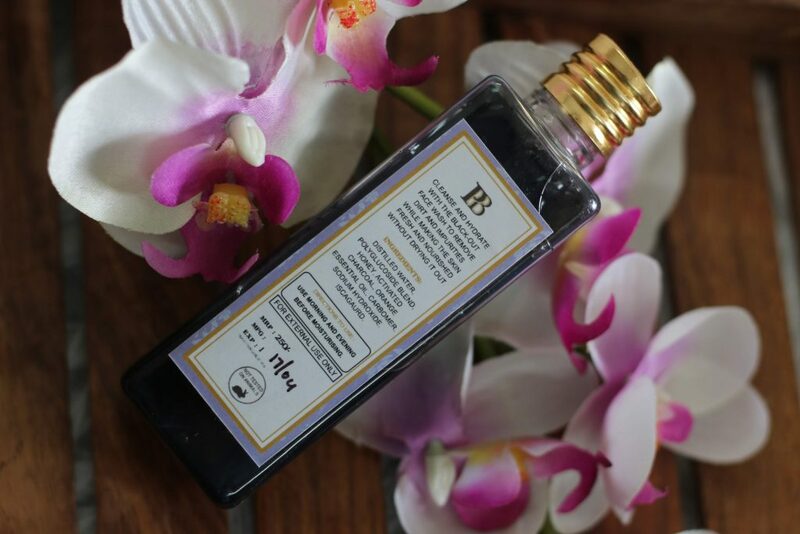 Hydrating Black out face wash is a blend of plant based glucosides that effectively clean the skin while maintaining the natural regulation of the oils in our skin. This face wash come in a pet bottle as shown in the picture. The only drawback I found in this face wash is its packaging. I found it extremely difficult to open the stopper everytime and I end up pouring more than what I want everytime. Too much of product wastage due to the ‘no pump’ kind of packaging. 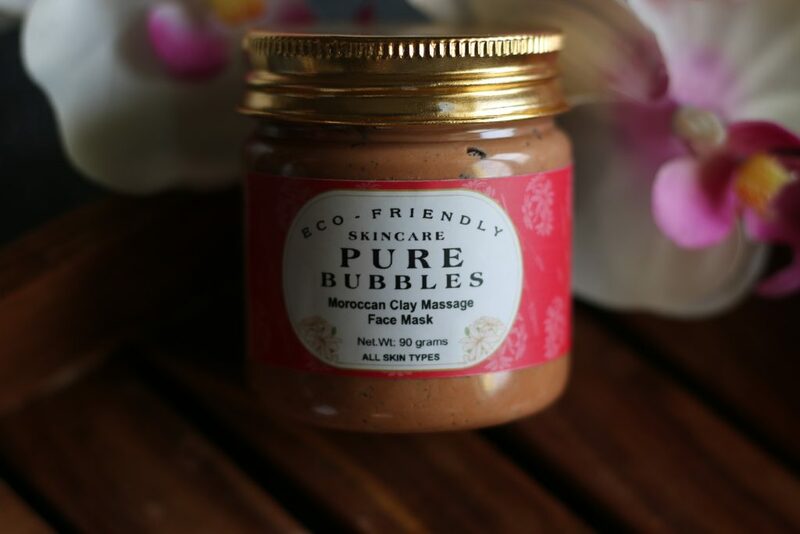 I wish brand provide pump dispenser packaging for face wash.
Get a naturally glowing skin using this awesome skin treat from Pure Bubbles. I love natural face masks. If you have a normal/combination skin like mine and if you are looking for a mask that can be used weekly twice or thrice. Something that clears out all impurities, deep cleanses pores and provide that natural glow after washing off – You are going to love this. 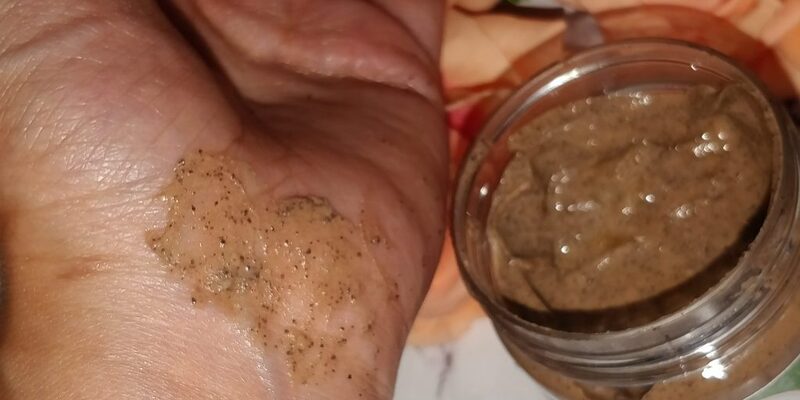 Moroccan Red Clay Mask is naturally high in Dolomite, silica, ferric oxide and mineral oxides. The high iron oxide content gives the clay its deep red which also helps revitalize the skin’s appearance and brightness. 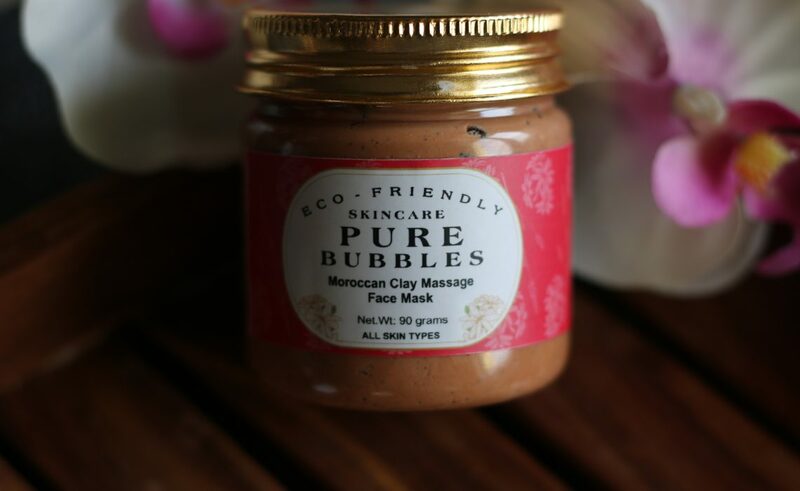 Red clay helps in skin conditions such as rosacea from broken capillaries, sunburn, eczema and psoriasis. Reduces flaky, dry and sensitive skin. Improves skin texture and maintains elasticity. Its excellent astringent properties makes it suitable even for acne prone skin. 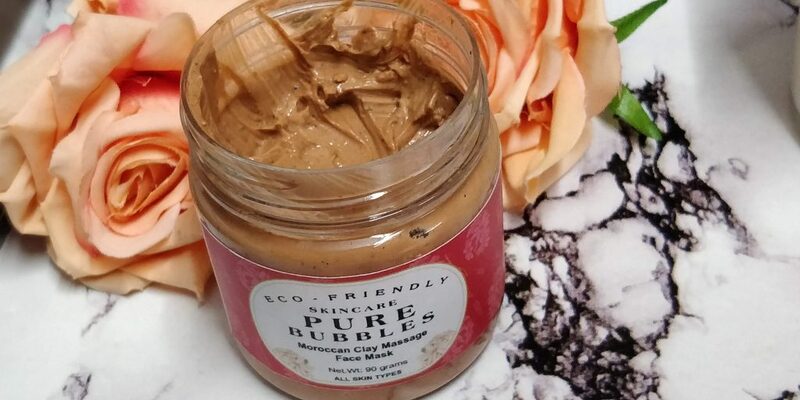 Like other clay based masks, this doesn’t fee dry on your skin. I didn’t feel any burning or tingling sensation upon applying this mask. 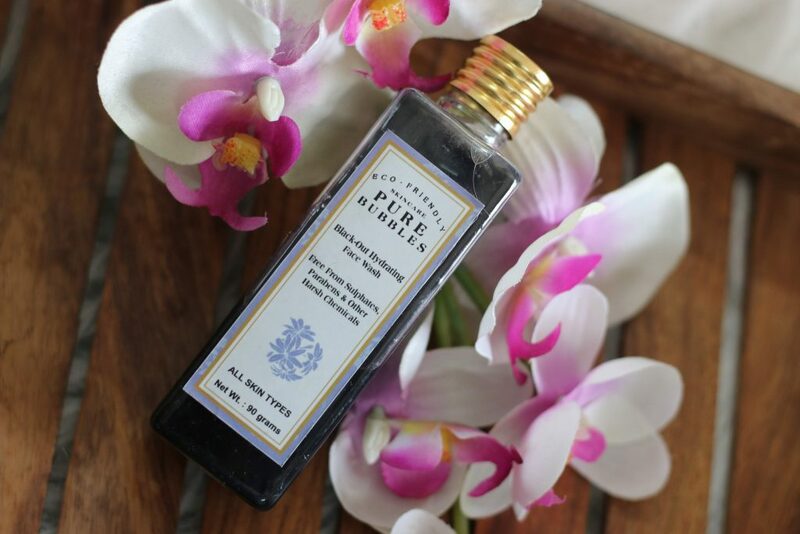 It has a natural fragrance that’s very calming. 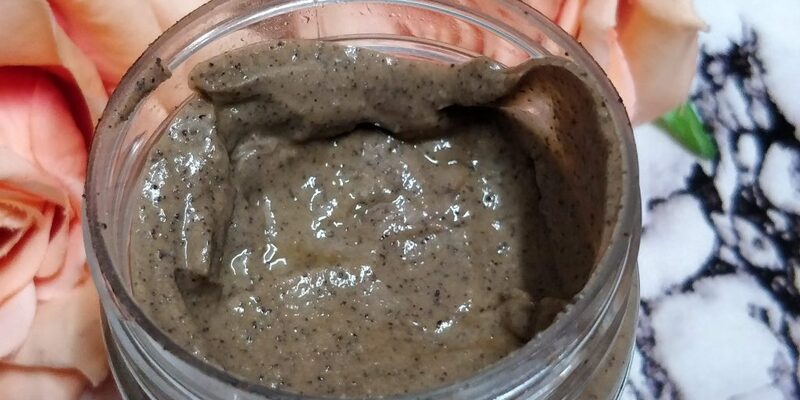 Helps reveal your skins natural shine and glow by taking away blackheads, fades acne marks etc. 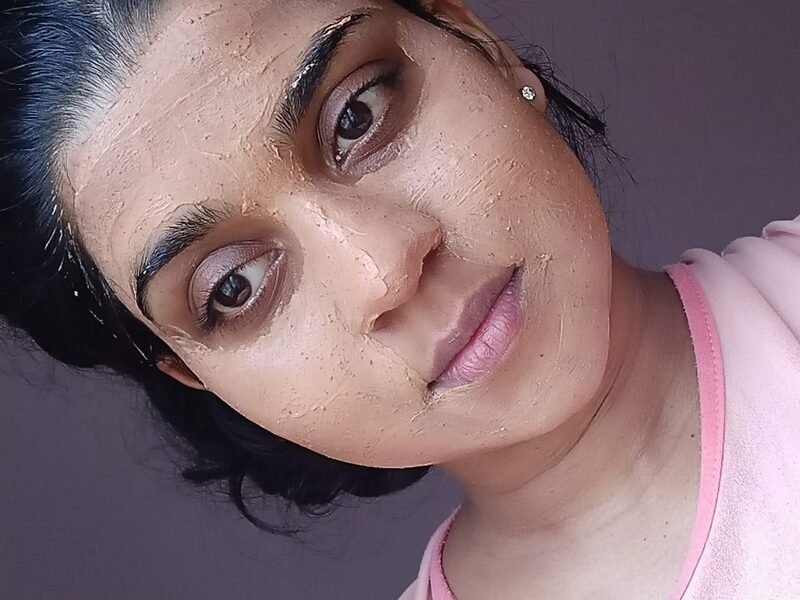 This mask definitely needs to be a part of your once in a week intense face mask routine to achieve well balanced, toned and even skin tone. Are you a fan of Coffee and Chocolates – Well, chococoffee lovers rejoice! 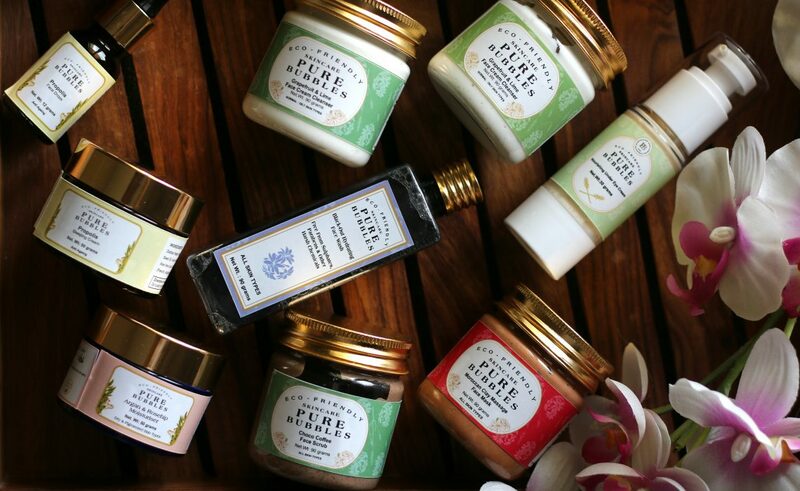 This smells so divine that you’d really want to eat it all! 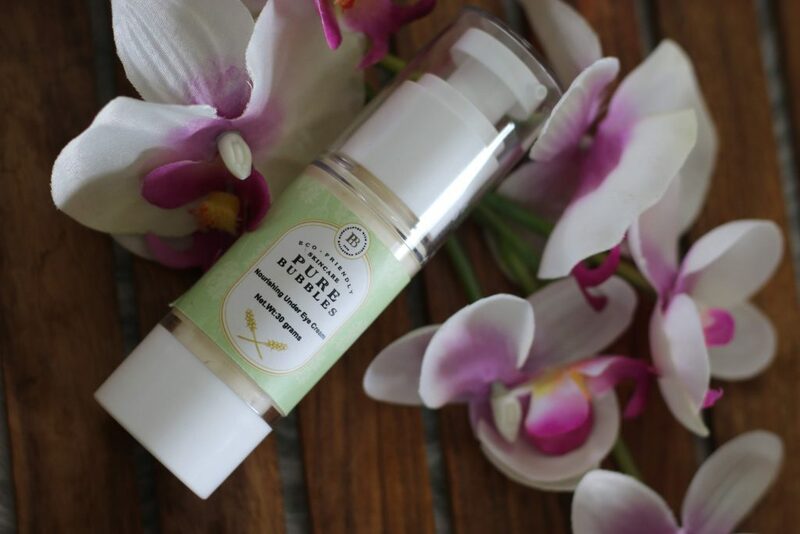 This face polisher is all you need for a quick and mild-moderate face polishing. 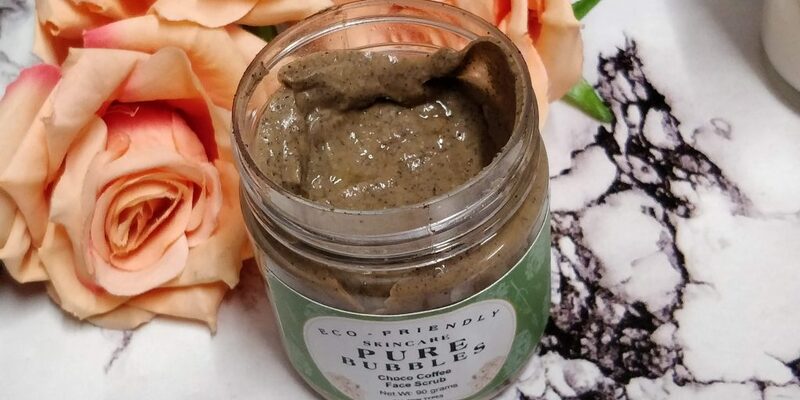 So therapeautical with Pure Bubbles Choco Coffee Face Scrub. Massage it gently on to your wet face and scrub in circular motions to get rid of dead skin cells , dirt and other impurities off your face. Be sure to be as gentle as you can on the scrubbing part as your facial skin is a little more delicate than your body. 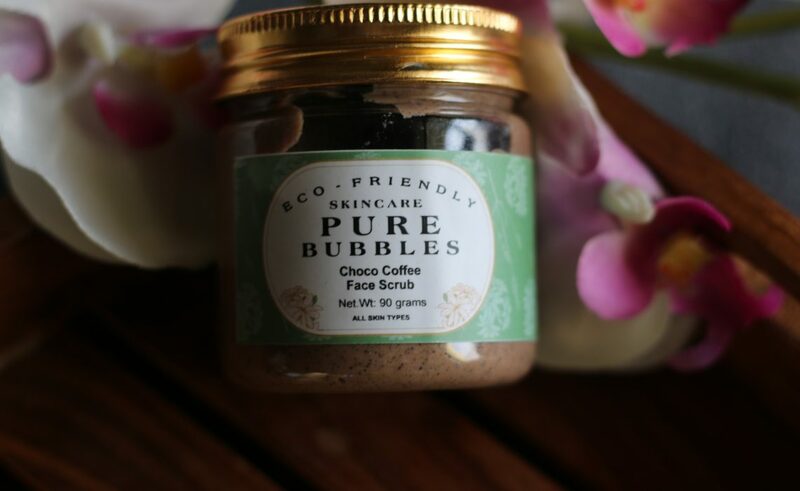 The particles inside the scrub are not hard/abrasive type which can damage the skin. Splash a little more water and take off the scrub again by massaging the area. It restores skin firmness, get rid of puffiness and it tighten your skin too. You will feel fresh after washing your face with this. For someone like me who sit in front of the laptop for over 10+ hours a day ; Dark circle is not a new skin concern. I make sure I use the right hydrating and nourishing products underneath my eyes to keep the area healthy. I don’t have a particular brand that I stick to when it comes to eye cream. 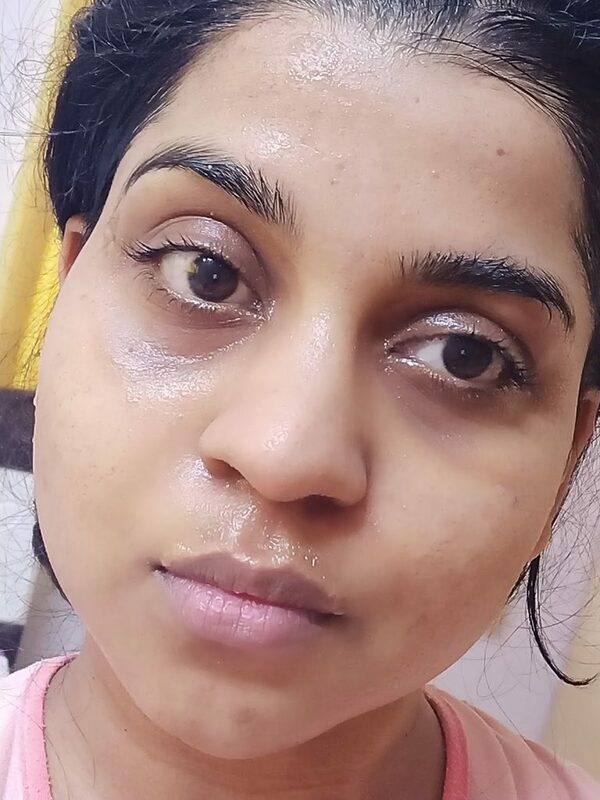 Depending on my work and the kind of skin (read under eye concern, more dryness underneath the eyes or puffy eyes or lack of lustre) around that time. I don’t have a particular brand that I stick to long-term when it comes to eye cream. 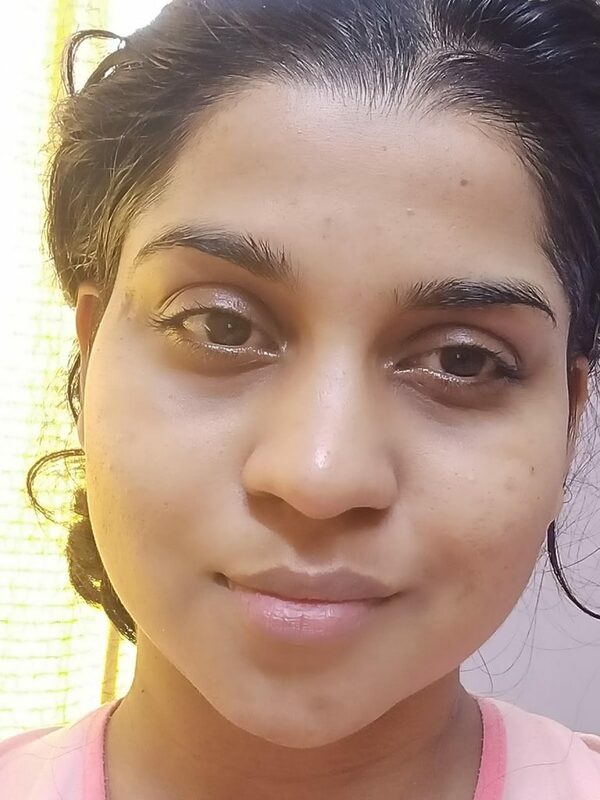 Depending on my work and the kind of skin (read under eye concern, more dryness underneath the eyes or puffy eyes or lack of lustre) around that time. I keep switching between brands. Having said that , I also prefer to use a separate eye cream while I am wearing makeup. It’s different from what I apply during my night skincare routine. 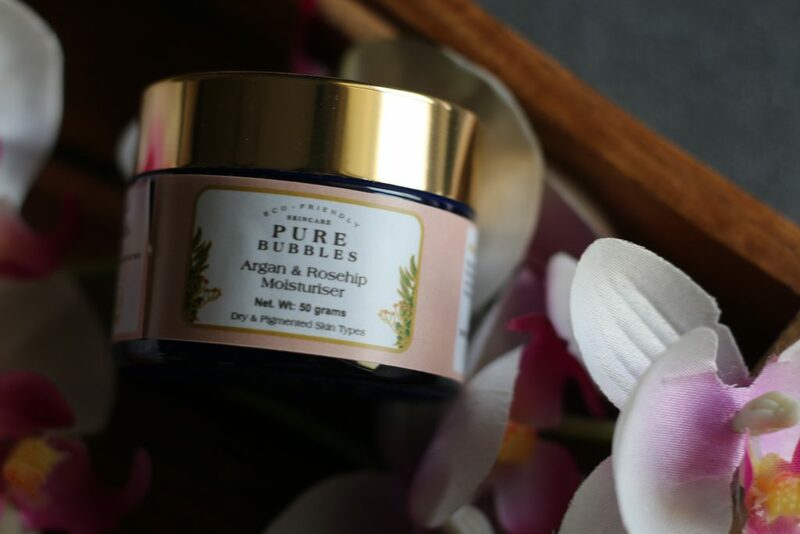 Pure Bubbles Nourishing Eye Cream has Rosehip, Aloevera and Hyaluronic Acid in its ingredient list and that factor made it my favorite eye cream to go under my makeup. After cleansing my face. I spray Trilogy Hydrating Rose Mist all over my face and then take a teeny bit of this eye cream and massage it around the eye area. I leave it for 2-3 minutes before I start to do my makeup. This cream does a good job of hydrating the under eye area prepping it well for concealer application. Leave the area super soft, non greasy. Concealer doesn’t look greasy etc. I have not seen any visible results of it reducing my under eye circles or maybe I’d continue to use this for a longer time period to see any visible results. But as far as hydrating and reducing puffiness on the under eye area is concerned – This does a good job! A little goes a long way. This is probably going to last for over 8-9 months even if used daily. To be honest, I was totally amazed by the results of these two moisturizers. They perform better than some of the luxurious moisturizers that I own. These being made in India, I was happy to trial this. 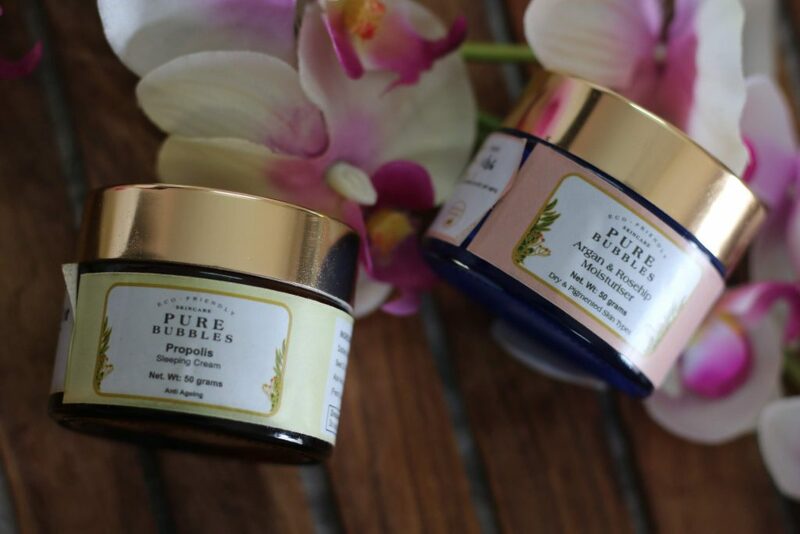 I love the Propolis Sleeping Cream from them. Me and mom share the Day Moisturizer. She have a oily skin and she likes Day moisturizer the most. 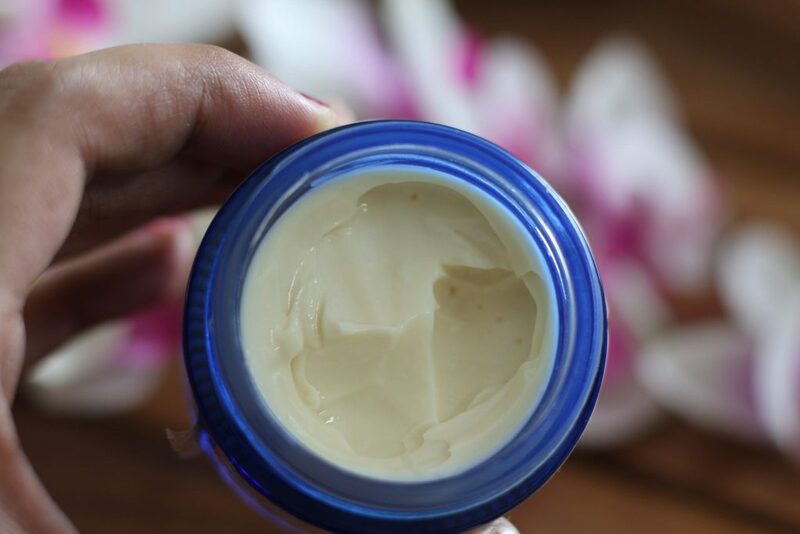 I have a combination – sensitive skin type and I love both the creams. A star extra for Propolis Sleeping Cream. 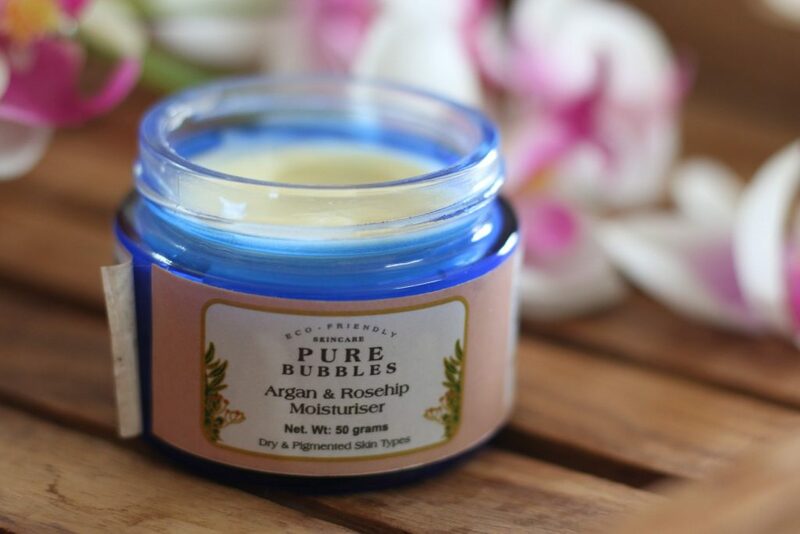 Argan and Rosehip Moisturiser during day time and Propolis Sleeping Cream during night along with Propolis Face Drops. 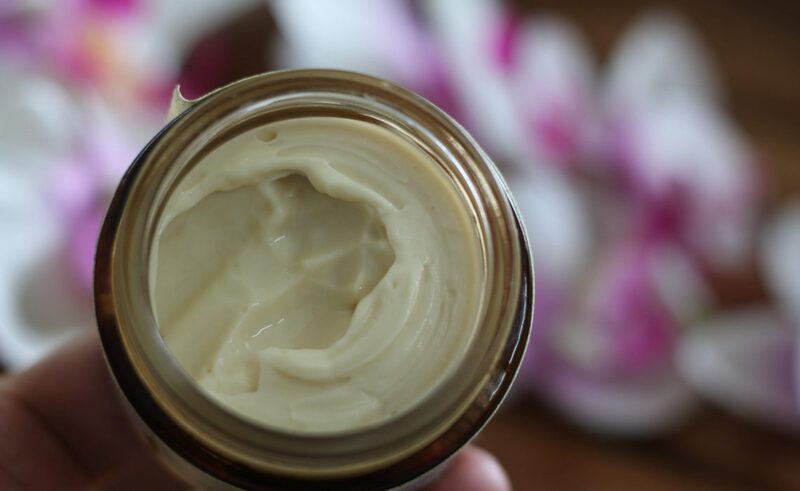 Housed in this glass jar, this cream has a pleasant natural fragrance. I guess it could be the Lavender, Sun flower and pumpkin seed oil that gives the lovely fragrance. It sinks into skin pretty easily. You need teeny amount. Out of all of the products I got – This is the most expensive one. 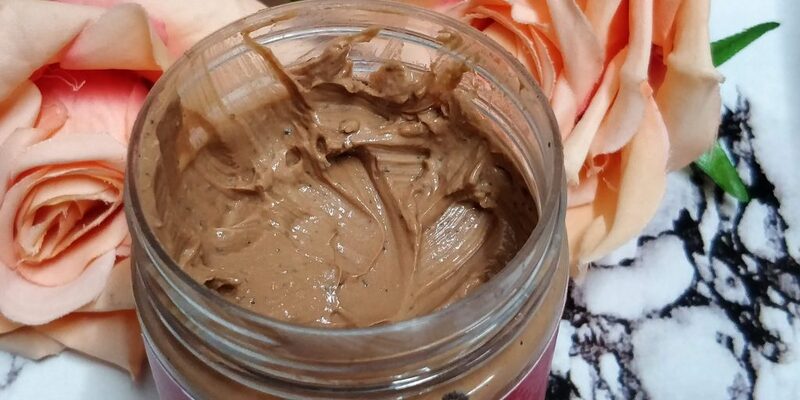 Considering that you only need a teeny bit to cover your face and neck – This jar is going to last you for a very long time. It has a shelf life of 1 year and I am sure If used daily at night. A jar can last unto 8-9 months. 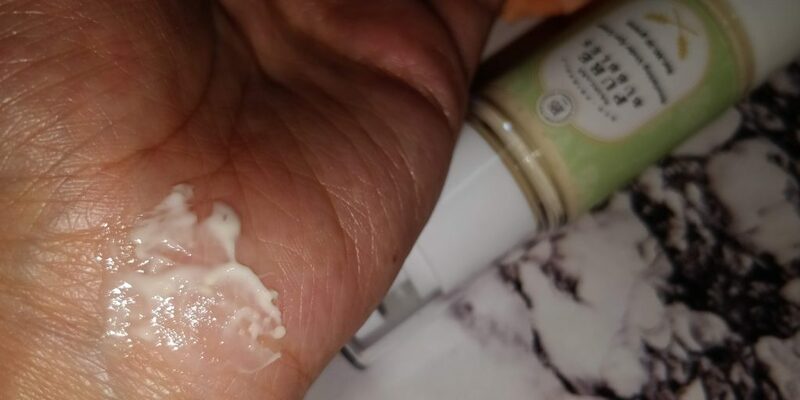 I love how hydrating this cream is. It doesn’t leave a greasy feeling on the face. NO skin irritation or breakouts for me. Propolis is a compound produced by bees to fight infections, heal wounds. 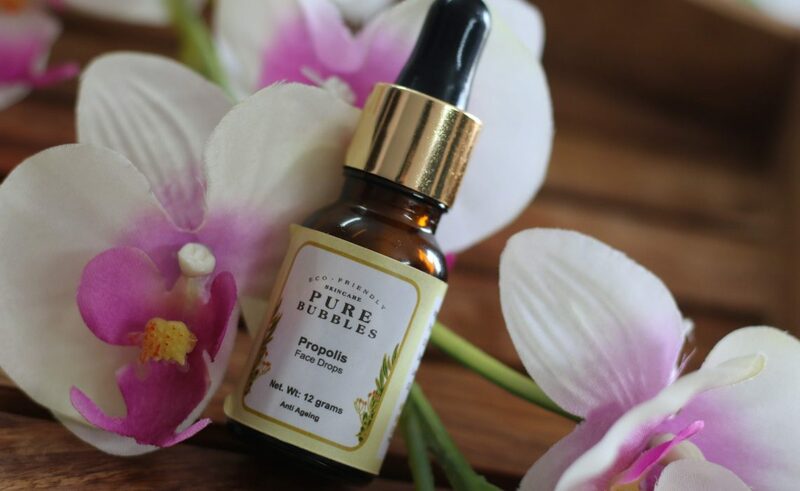 Propolis is commonly used for its healing, antiseptic and restorative capabilities. 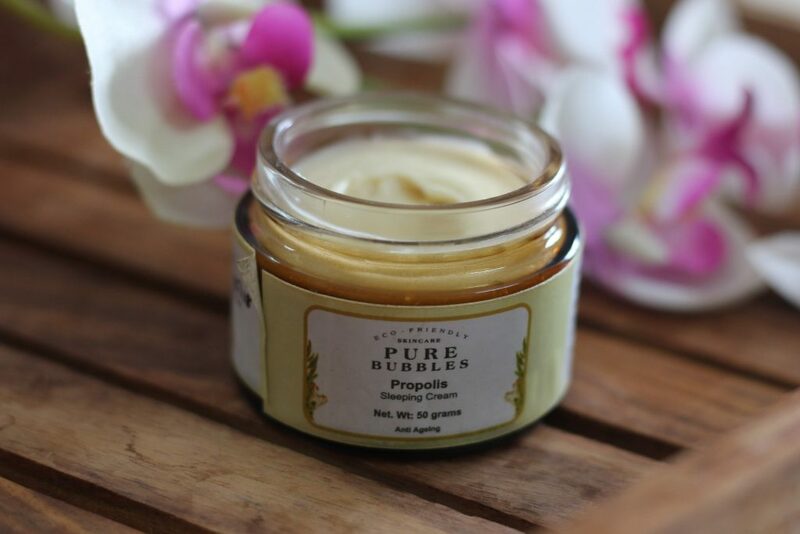 Propolis will assist in balancing, healing and soothing problematic skin. It also accelerates the rate of cell growth and decongests pores. Propolis protects against bacteria and functions as a great anti-inflammatory agent. Before you start to use this – Please do a patch test. I am not allergic to any bee products. 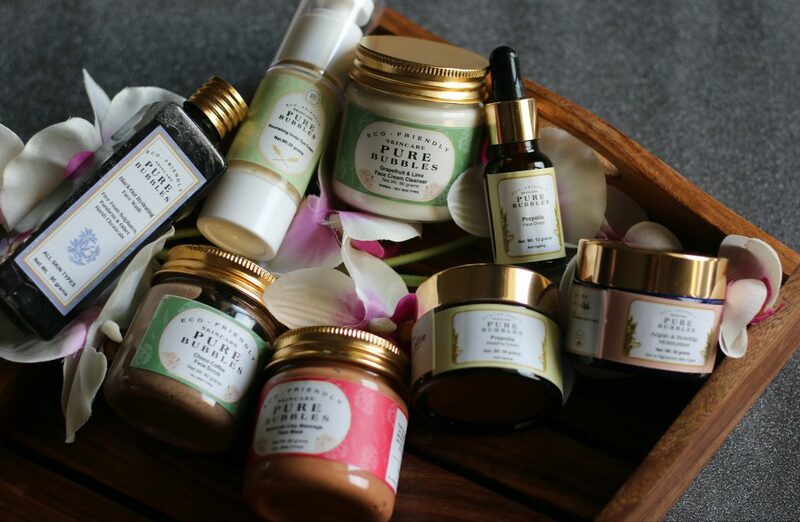 I used to use Manuka Doctor products and I have not any brands from India which has propolis as an ingredient. It has a lot of skin benefits. It helps even out the skin. Before I start to apply this cream. 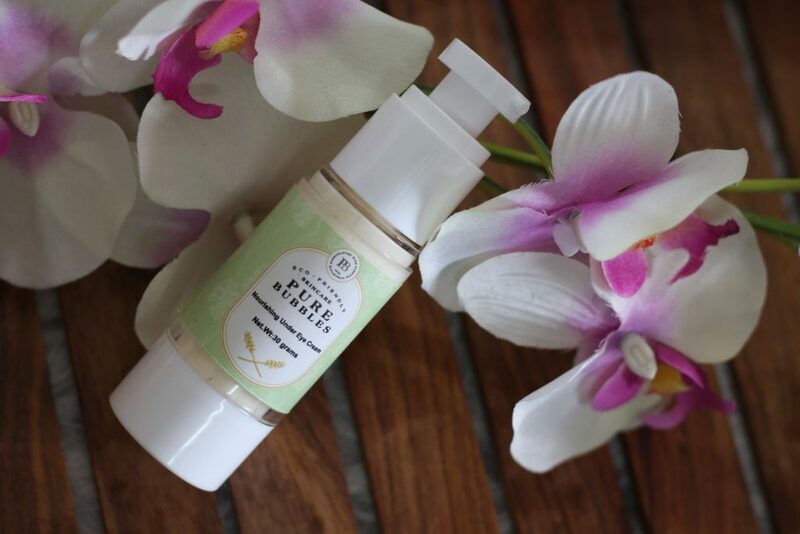 I cleanse my face using Pure Bubbles Grapefruit and Lime Face Cream Cleanser. After wiping off the water. 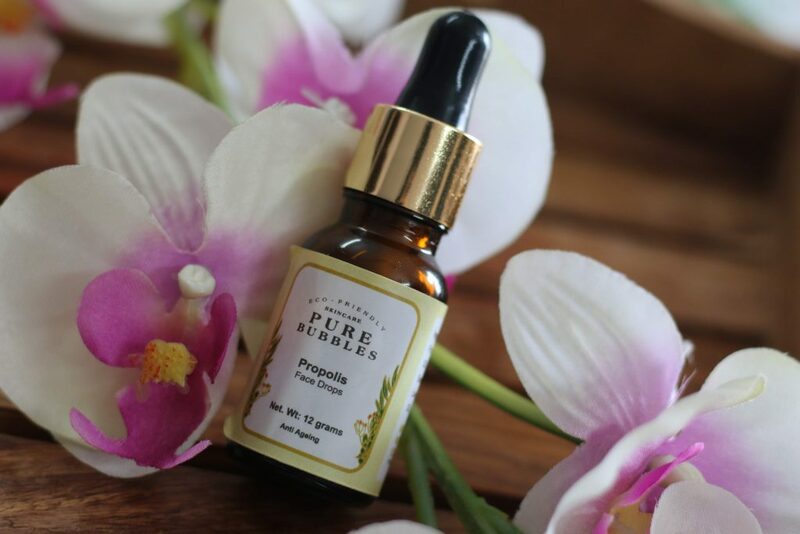 I take about a pea sized amount and mix it with exactly 2 drops of Propolis Face Drop. As the last step, I apply this onto my face covering every problematic areas of my face. You’d really start to feel a difference on your new acne scars, spots etc. Skin feels really plumped and hydrated. Packaging is the same as Night Cream. Its a round glass jar. I use a wooden spoon to take the product every time. It smells so relaxing. That spa massage cream kind of a feeling. It hydrates the face really well without making it too oily. I don’t use this on days I am wearing makeup. Instead, I choose to use it on days where I stay at home. I love the cream to get all soaked into my skin leaving the wonderful fragrance that’s quite relaxing for me. Neroli and Patchouli along with Rosehip Seed and Argan Oil. A luxury blend of skin smoothing and nourishing essentials – This cream is not to be missed. Absolute Luxury. I feel the price for this is too less for its efficacy. 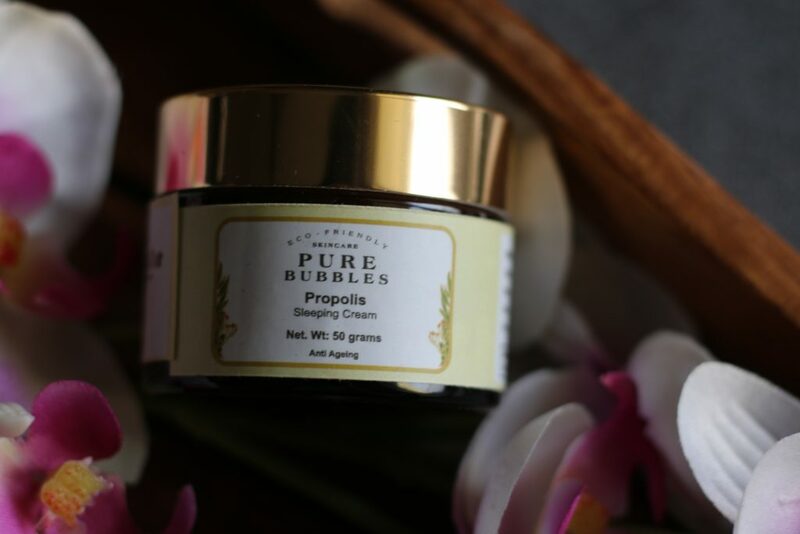 If you are planning to buy just two products from Pure Bubbles ; I suggest you go for Day and Night creams. They are absolutely awesome on skin! Use it to believe it. 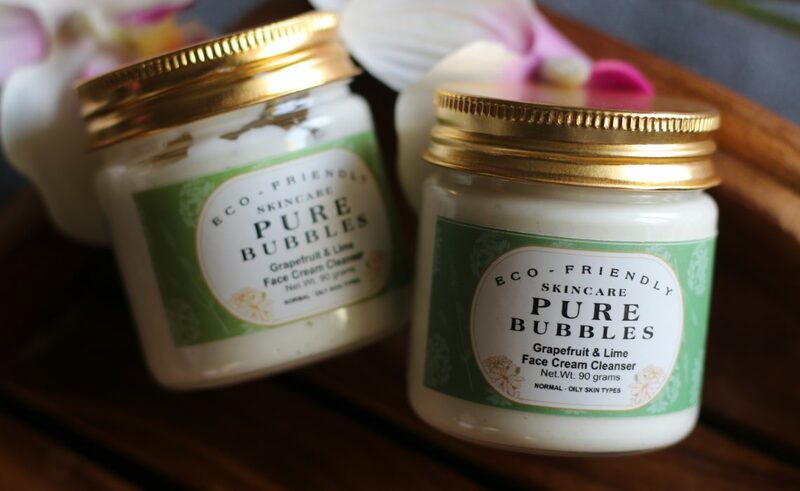 Pure Bubbles Grapefruit & Lime Face Cream Cleanser has a citrusy fragrance and its effective in removing all the impurities from pores; keeping the skin clean. 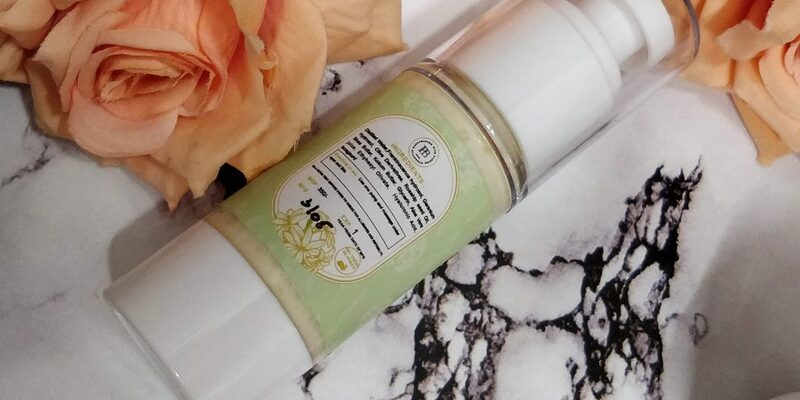 This cream cleanser can be used to remove light to moderate makeup. Scoop a little of the product using a spatula and massage it between your palm and apply it directly on to the face. 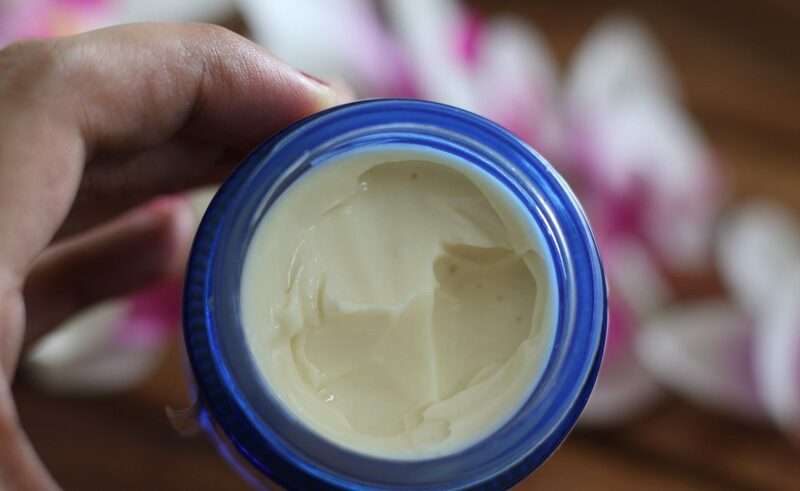 Consistency is creamy and it’s perfect to be used as a second cleanser while removing makeup. 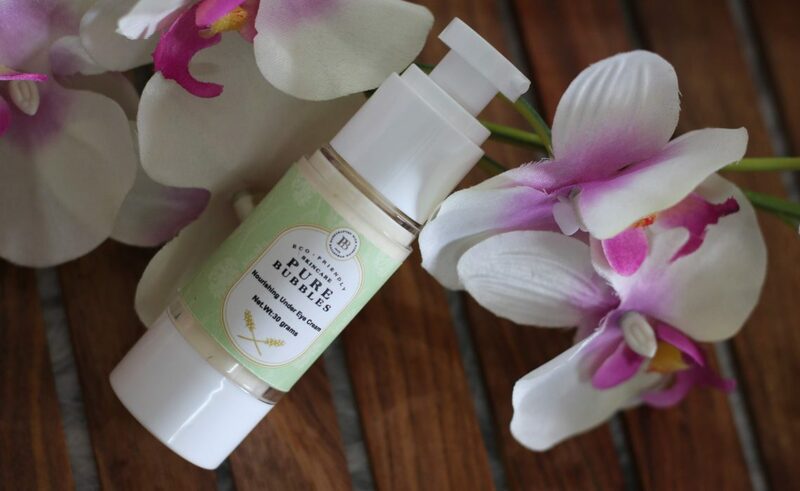 After taking off all stubborn makeup using a cleansing oil ; You may choose to use this to massage your face and wipe off using a warm cloth or wash it off using Luke warm water. It feels really relaxing on skin. Best part about this is – it doesn’t leave any oily residue on the skin. 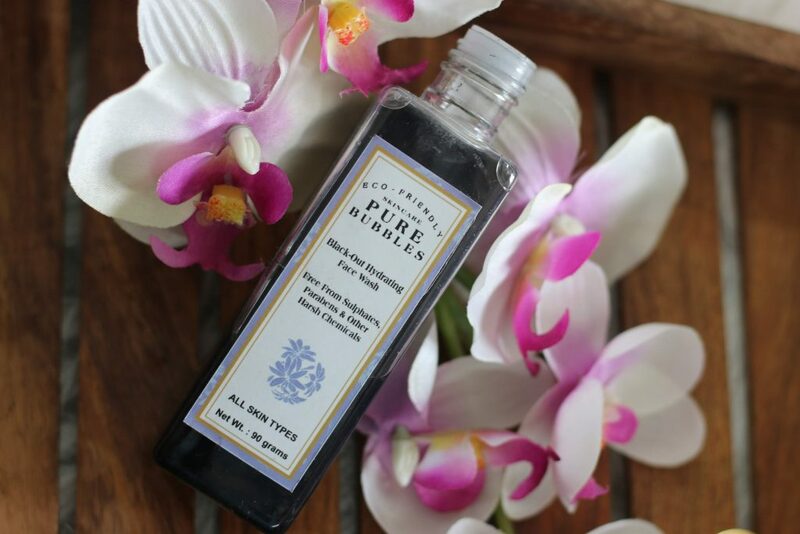 Don’t expect this cleanser to remove heavy makeup. As I said, light to moderate makeup removal – this is good. You can also use it to quick cleanse your face before putting makeup or using any face masks etc. It leave your skin hydrated and soft. 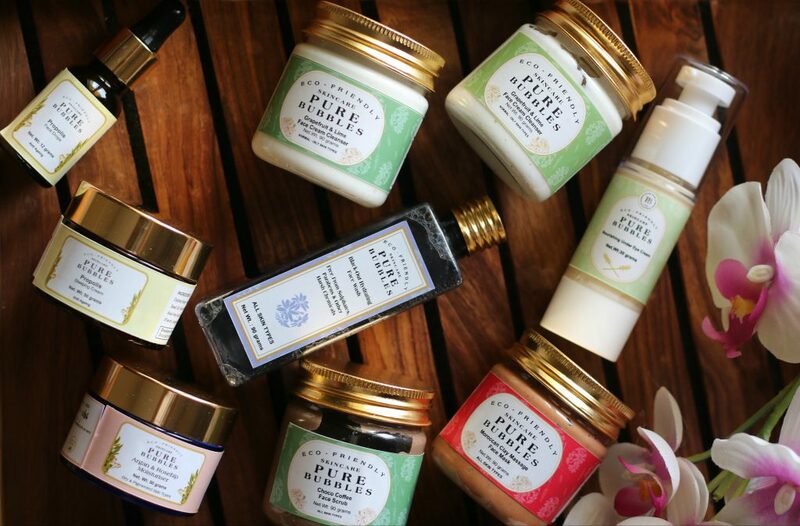 Overall, all of these products are # handmade, made in small batches using pure, eco friendly & bio degradable ingredients. You may choose the products according to your skin type at a reasonable price. What I really love about this brand is their ethics – They have disclosed all ingredients including the preservatives used. 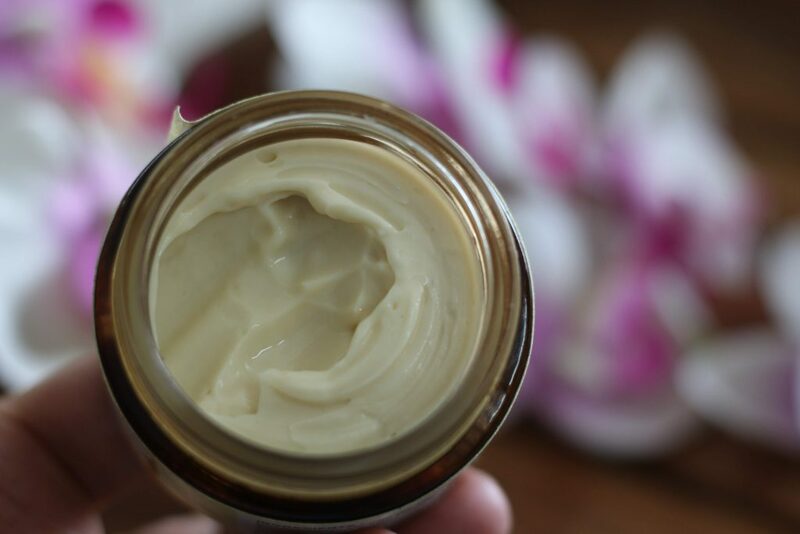 Some natural brands take off all mention of preservatives from their packaging labels because they “look bad” to readers. I am completely against this. 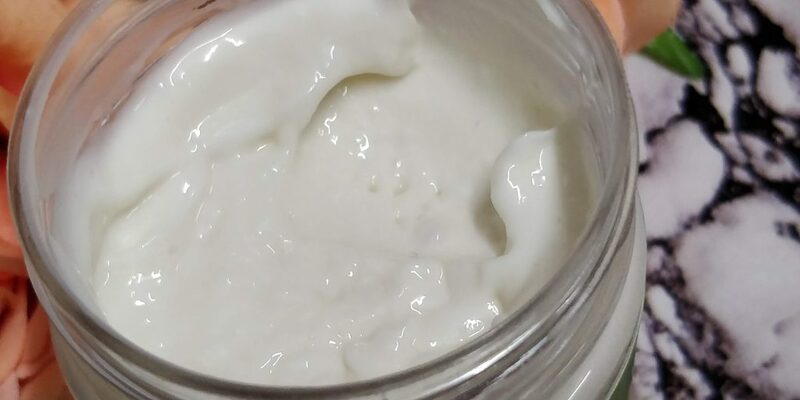 Preservatives are important for skincare products. Without preservatives how will you ensure the product you apply on your skin is safe. If a product has water in it, it needs a preservative. 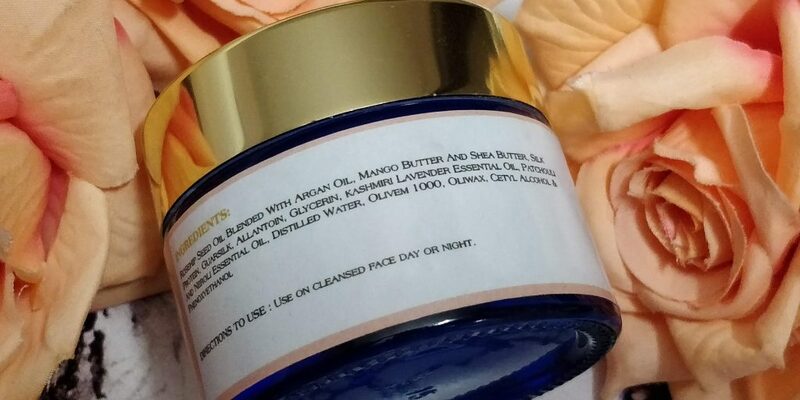 “ ; Preservatives extend a product’s shelf life and stop fungus, mold, yeast, bacteria and other microbes from growing in cosmetics—especially in humid environments such as the bathroom.” ; So think logically and make a decision while purchasing your skincare products. 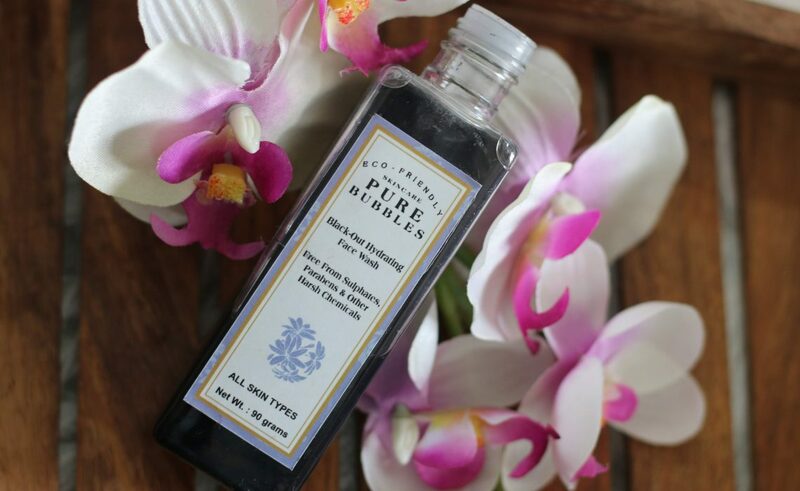 Have you tried any products from Pure Bubbles Soapery ? ** Products sent to me by brand. However, my review is honest and unbiased as always. The best thing about natural product is that there is no side effect. Such gorgeous packaging …. 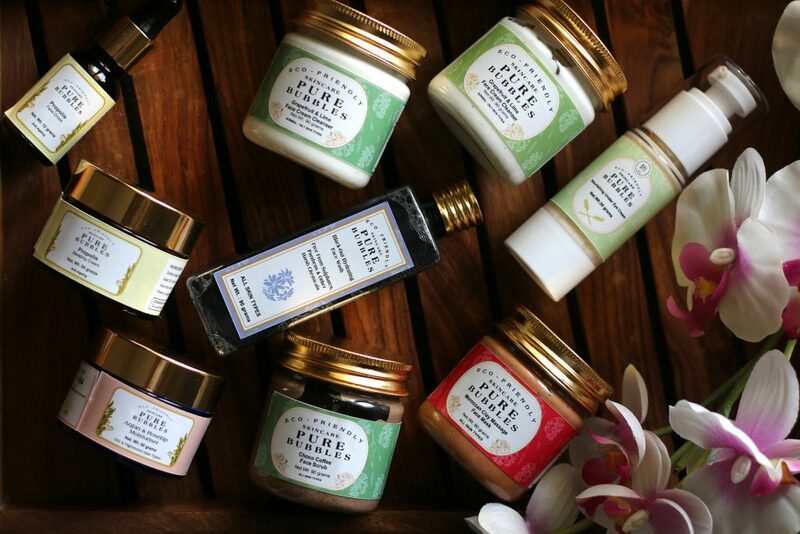 I love using natural products, these sound great! Ooh all these products look so good! I really want to try that coffee scrub especially. The packaging is so cute too!